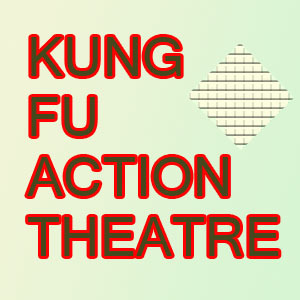 The Kung Fu Action Theatre podcast was started in August 2006 as an audiobook reading podcast, but quickly transformed itself into something more. Starting in November 2006, KFAT began to broadcast high quality audio dramas staring an international cast of actors and written and produced by Robyn Paterson. During KFAT’s audio drama run, over 48 shows were produced and released on the KFAT podcast- ranging from the epic space opera Twin Stars to the kung fu adventures of Little Gou. Individual Audio Drama series can be found elsewhere on this site, a mostly complete archive of the Kung Fu Action Theatre podcast can be found here.